For this report, nearly 20,000 surveys from 128 islands covering 19 countries or territories were compiled and analysed. What the analysis showed is that the coral reefs of the Pacific, like in other parts of the world, are changing. Dominant corals are no longer dominant and herbivorous fish are on the decline. But the change at the regional level is often not reflected in observations made at the local level, as is true for acute stress events such as coral bleaching episodes and Crown-of-Thorns outbreaks. This might be good news. Local, island-specific dynamics suggest that local-scale management actions can help to mitigate the inevitable effects of global change, at least in the near future. Coral reefs in the Pacific are dynamic and recovery is likely to occur rapidly. 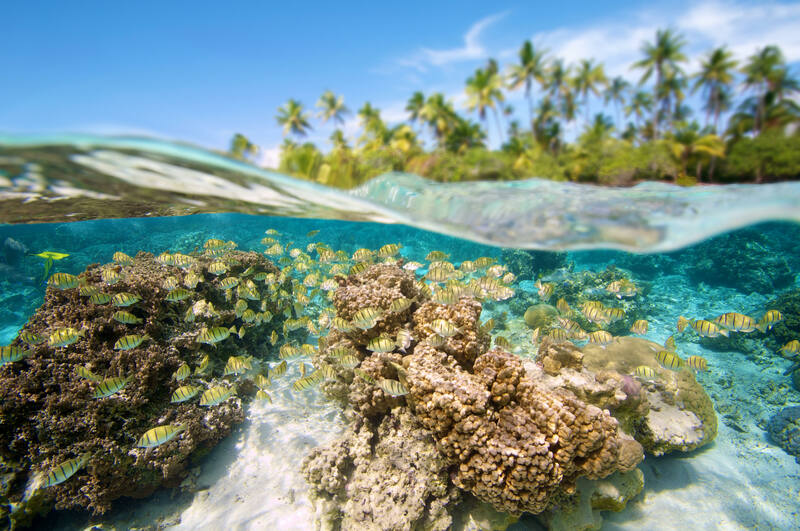 In a moment of doom and gloom for the coral reefs, this latest report demonstrates that Pacific reefs are the best coral reef systems in the world and provide lessons and ample reasons to maintain hope for the future of reefs globally. Download the Status and Trends of Coral Reefs of the Pacific.